Many pet owners are unknowingly putting their dogs and cats at a high risk of developing skin cancer because they don’t realise the impact the sun can have on their animal’s health, according to the head of an Australian app-based, home visit vet booking service. Melbourne veterinarian Dr Vadim Chelom, chief executive officer of Pawssum, said dogs and cats were very prone to skin cancer but many owners simply weren’t aware of the risks. “Because they have fur, we just don’t think about protecting them from the sun the way we think about protecting our own skin but sun exposure is a big issue because dogs and cats can get sunburnt but they won’t avoid the sun, even in high temperatures,” Dr Chelom said. According to Pet Insurance Australia, in 2016 there were approximately 1,500 claims Australia-wide for skin cancer in dogs. Cats also suffer the effects of skin cancer but statistics indicate they don’t as much as dogs. “Skin cancers in dogs and cats are usually not melanomas, so they are often not pigmented—they can be completely white—which can make them hard to spot by owners,” said Dr Chelom. “And in cats, in particular, skin cancers are often not lumps at all; they may be erosions on skin which can be very confusing. Dr Chelom also issued a warning about sunscreens and pets. 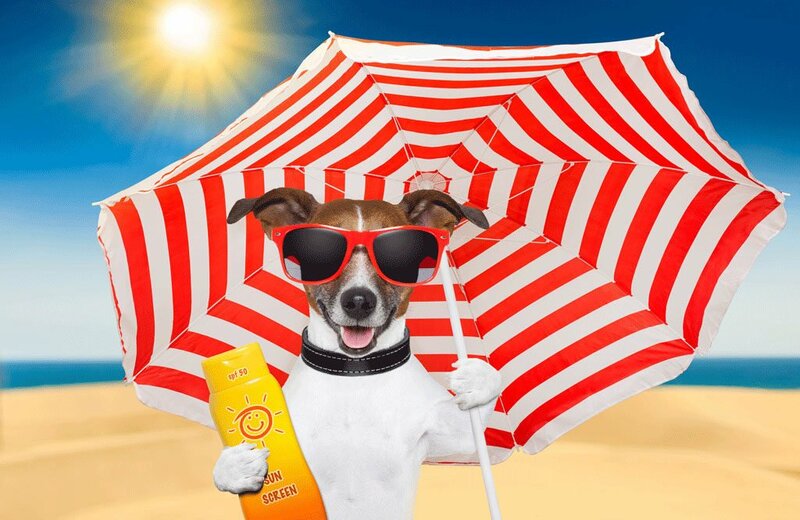 “Human sunscreens can be toxic to dogs—the ones with zinc in them can cause gastrointestinal issues so should be avoided,” he said.